The world of commercial banking moves swiftly. B2B clients have complex needs and offer great opportunity for banks who can move fast, resolve queries quickly and provide a premium service. If relationship managers aren’t anticipating and responding to their client’s every need then business can easily be taken elsewhere. However, with hundreds of clients to manage at once, it is often impossible to keep them all happy. 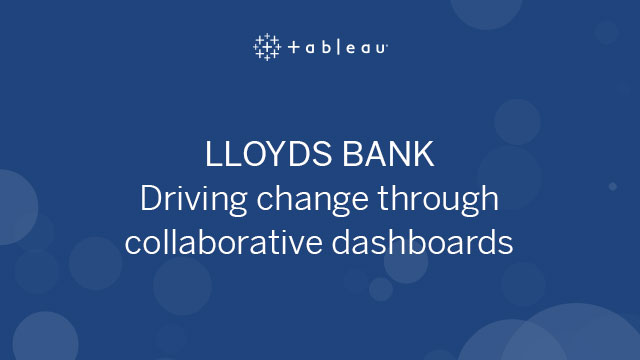 For one of the largest commercial banks in the UK, Tableau provided the perfect solution to create client dashboards to help relationship managers, product partners, and service and operational staff to all easily access and take action on client feedback, review product opportunities and keep up to date with client industry news.